The RCD Mallorca has imposed 2-0 to the AD Alcorcón in the match for the 24th stage thanks to the goals of Aridai Cabrera and Ante Budimir. Vicente Moreno's team has come out for all from the first minute and Aridai has opened the marker in minute 2. The Canary player has defined very well and Son Moix has celebrated with great force the electrical start of his team. In the 20 minute, Ante Budimir has scored the 2-0 after converting a penalty. The Serbian striker has shown a lot of coldness before the goalkeeper and has certified a great start of RCD Mallorca. In the second time, the AD Alcorcón has been determined to shorten the difference in the scoreboard. Manolo Reina has been very imnportant in rejecting all the arrivals of the AD Alcorcón. The goalkeeper and the defensive system have aborted all of the opponent's attacks, which has had one more player on the field after the expulsion of Budimir by double yellow in the minute 69. From there until the end, the team Mallorquinista has endured the attacks of the rival and has even been able to mark the 3-0 after a chance of Stojiljkovic that has rejected Dani Jiménez. 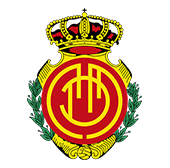 RCD Mallorca: Reina, Joan Sastre, Xisco Campos, Raíllo, Estupiñán; Dani Rodríguez, Baba, Aridai, Lago Junior; Stoichkov y Budimir. Goals: 1-0 Aridai, 2'; 2-0 Budimir, 20'. Vicente Moreno: "The team has made a complete match"